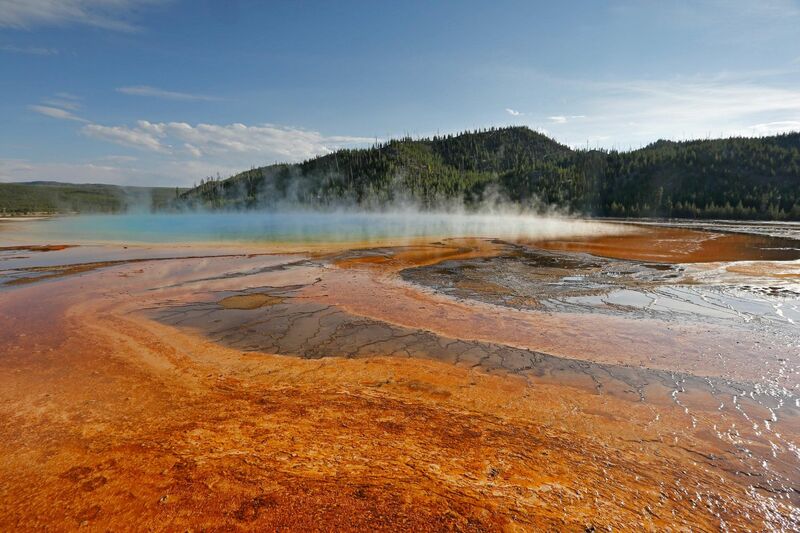 If you’re looking for a bit of artistic inspiration, you’ll find it at the Grand Prismatic Spring Yellowstone. It's approximately 250 by 300 feet in size and around 160-feet deep. But it’s Grand Prismatic rainbow waters that really make it fascinating. While the centre of the pool’s deep cerulean hue is pretty characteristic, the deep reds, bright yellows and fiery oranges encircling the edges are not. These colours are caused by pigmented thermophilic bacteria that thrive on the rich minerals produced by the geothermic activity.